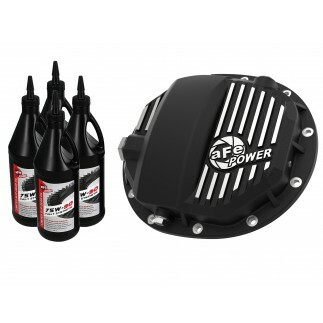 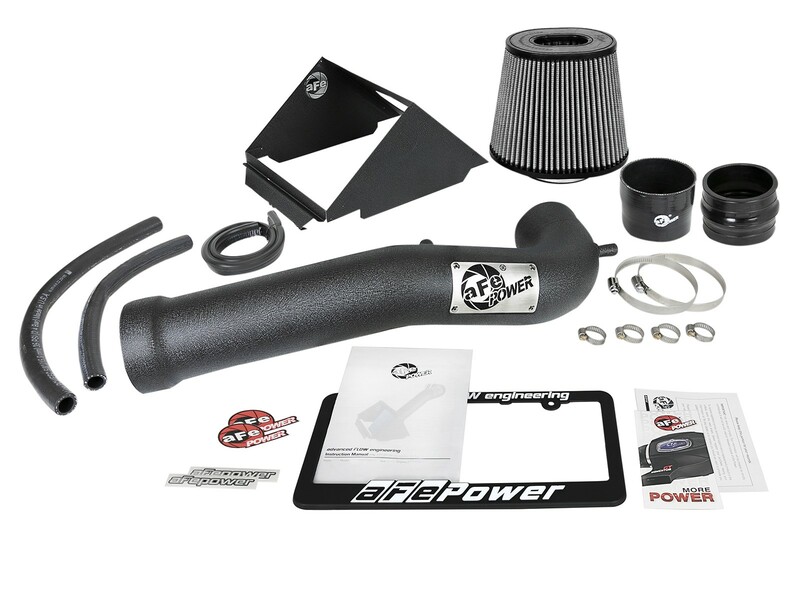 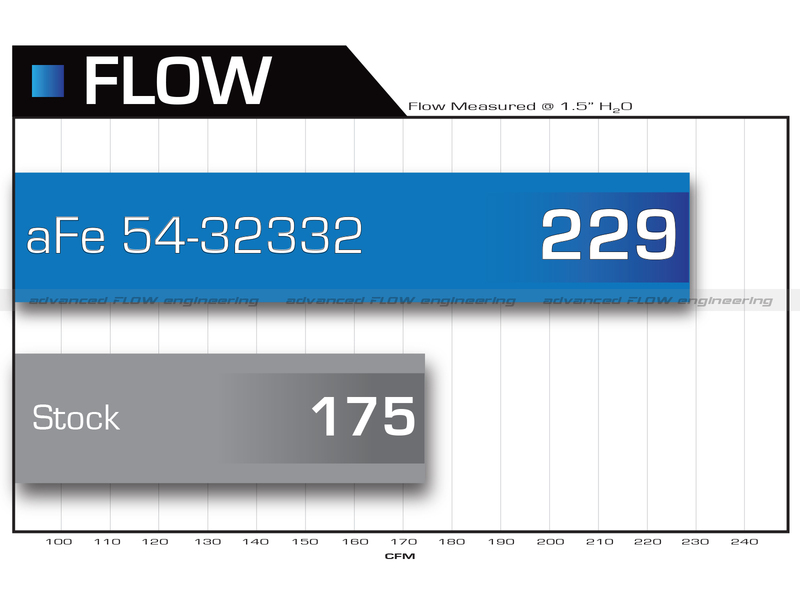 This Stage-2 air intake system combines a 3-1/2" diameter black powder-coated aluminum tube and a massive 7-1/2" Pro DRY S air filter with inverted top to generate 30% more airflow. 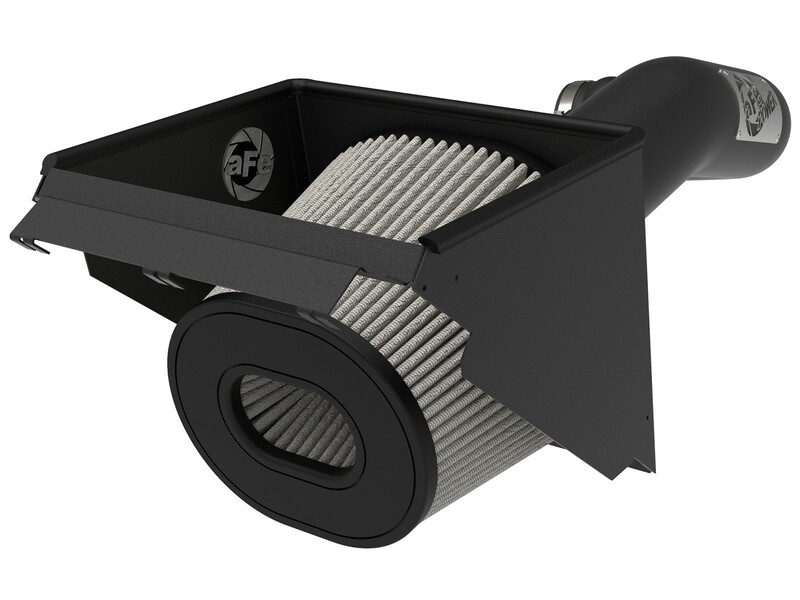 The Pro DRY S air filter is 3-layer progressive, synthetic gauze filter that requires no oils and cleans with simple soap and water. 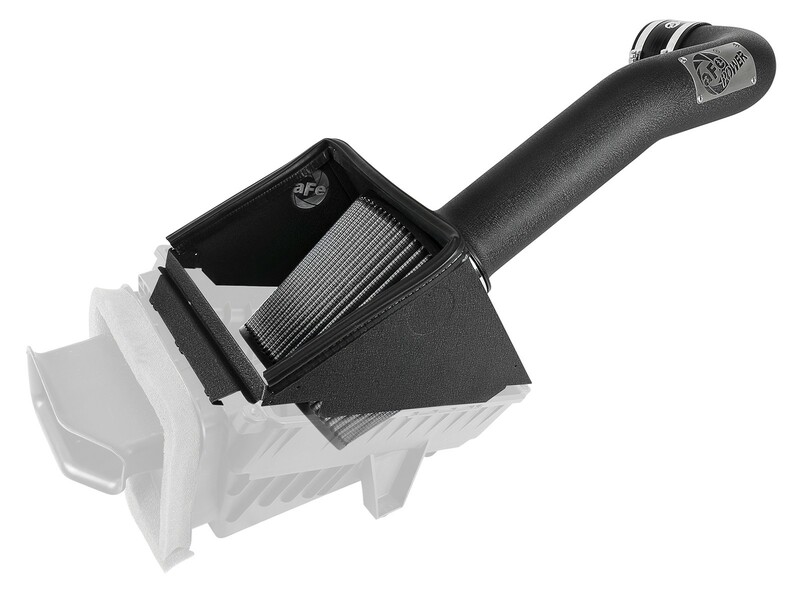 The air intake is enclosed in a durable 18-gauge heat shield that utilizes the lower half of the factory air box that requires no assembly. 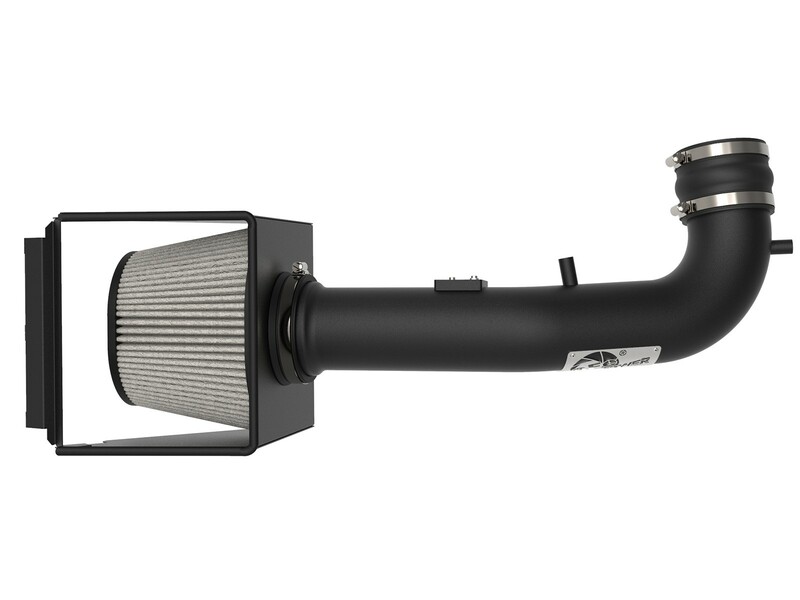 This intake utilizes a 7-1/2" tall conical Pro DRY S performance air filter with inverted top for additional dust holding capacity. 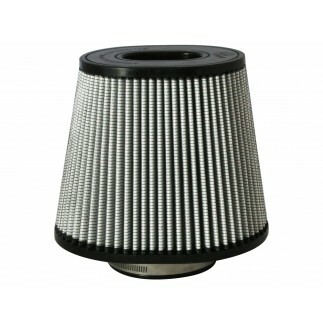 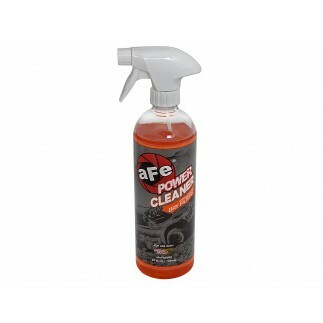 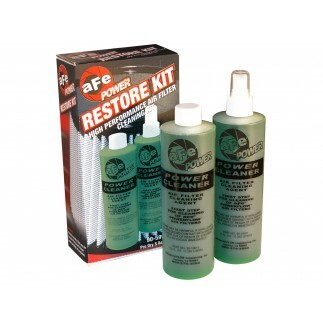 This 3-layer progressive, non-oiled synthetic air filter requires no re-oiling after cleaning for maximum convenience. 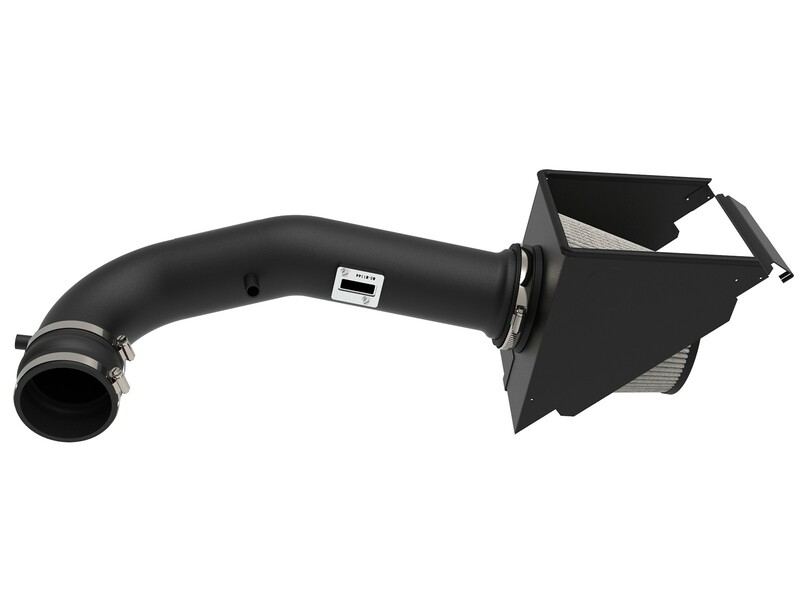 aFe developed this heat shield to snap onto the top of the lower half of the factory air box to provide a quick and easy installation utilizing factory mounting locations. 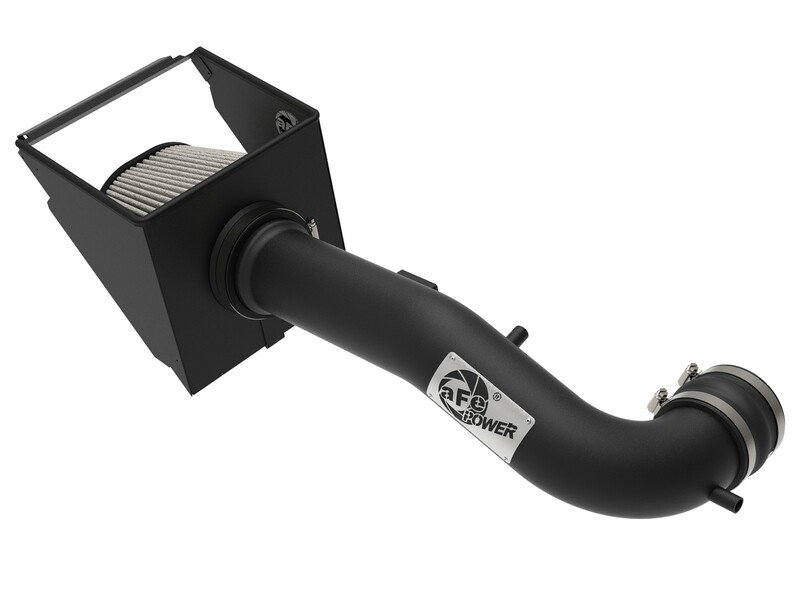 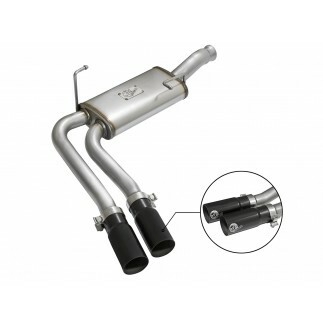 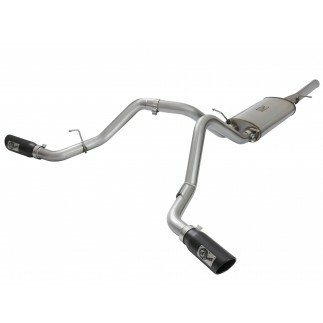 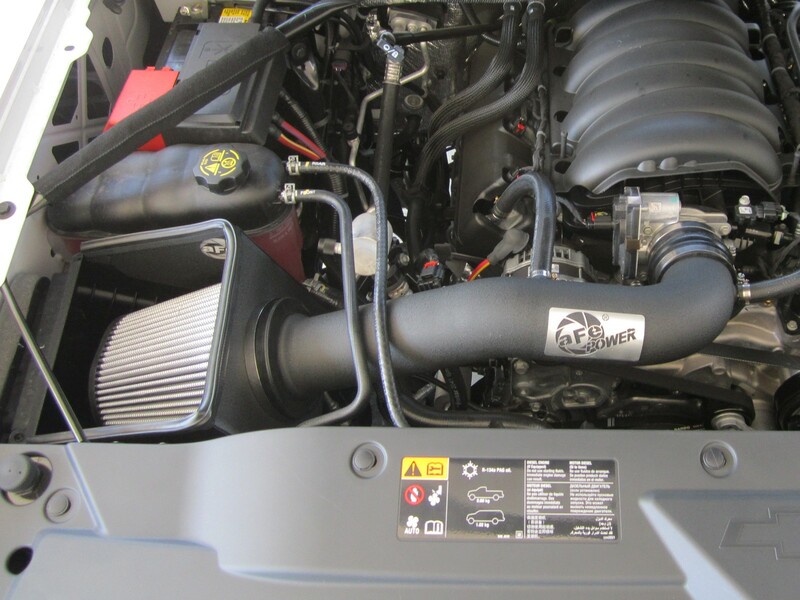 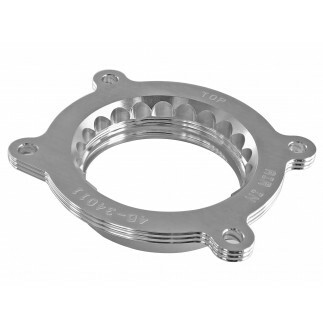 This intake replaces the lower half factory intake box and the factory inlet tube. 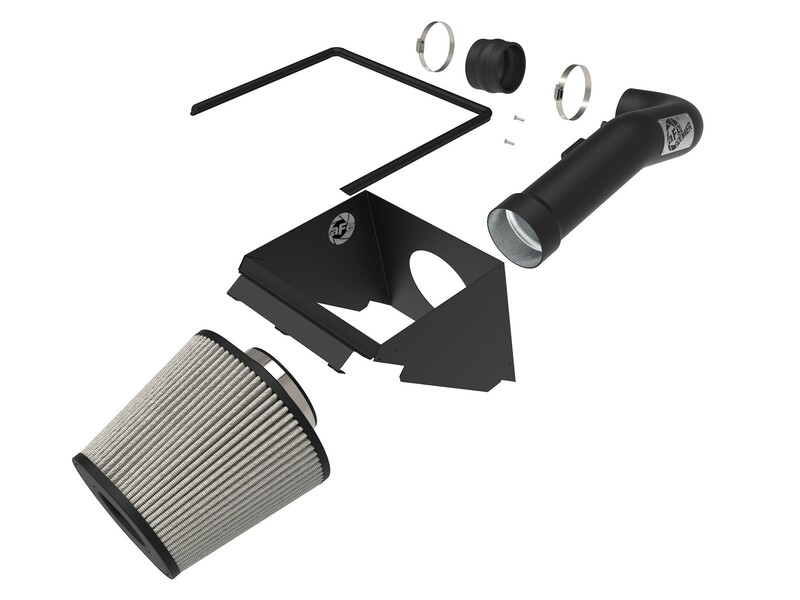 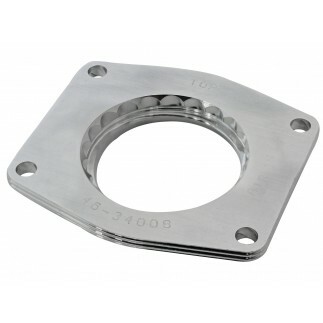 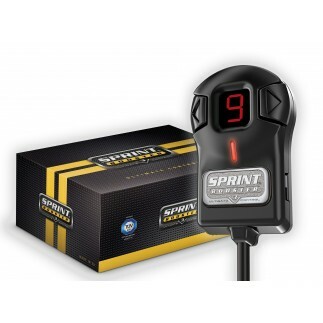 All hardware and components are included for a hassle-free installation.